A Judicial Review Board of Pakistan’s Punjab province has on Thursday extended the house arrest of the alleged Mumbai attack mastermind for another 30 days. 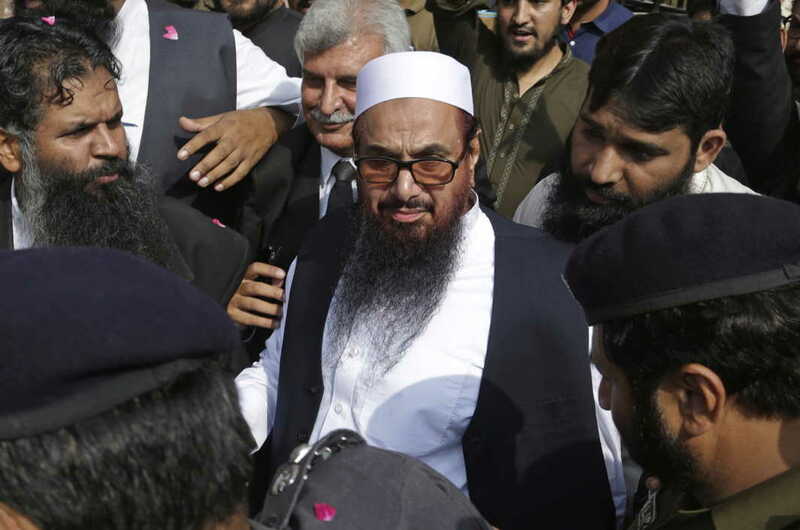 Days after the Pakistan government sought the extension of Hafiz Saeed’s detention under public safety law, a Judicial Review Board of Pakistan’s Punjab province has on Thursday extended the house arrest of the alleged Mumbai attack mastermind for another 30 days. While the extension of detention will be applicable on the Jamat-ud-Dawa chief from October 24, his four aides, Abdullah Ubaid, Malik Zafar Iqbal, Abdul Rehman Abid and Qazi Kashif Hussain are expected to walk free on the expiry of their September 25 detention order. With Saeed and his aides being presented to the provincial judicial review board in Lahore High Court, supporters of the JuD chief gathered at the court premises, to shower rose petal on the alleged militants. Though the government’s plea, for further extension of detention for Saeed’s four aides, failed to convince the board, the government might now arrest them with charges in other cases, after their September 25 one-month detention order expires. Pakistan’s Punjab government, on Tuesday, sought the extension of detention of Mumbai attack mastermind Hafiz Saeed under public safety law, two days after withdrawing its application to prolong his house arrest under the anti-terrorism law. Saeed, chief of the Jamat-ud-Dawah terrorist organisation, has been under house arrest since January. The JuD chief was presented before a three-member provincial judicial review board amid high security on Tuesday. The Punjab Judicial Review Board, comprising Justices Yawar Ali, Abdul Sami and Alia Neelam heard arguments of a law officer of the Punjab home department for the extension of detention of Saeed and his four close aides – Abdullah Ubaid, Malik Zafar Iqbal, Abdul Rehman Abid and Qazi Kashif Hussain.